Explore the art of documentary film making. Participants will create mini projects that will take them on a journey through 4 components of film: pre-production, production, post-production, and editing. Jillian Hall is the Programs Manager at NOVAC:BR. She is also a documentary film producer and youth media educator with a passion for socially-­conscious storytelling. Jillian's past productions include the award-winning indie documentary "Yakona," a documentary short for the Time, Inc series New Orleans Here & Now, the History Channel series American Daredevils, and a nationally broadcast PBS series as part of MHC.tv. Mina Estrada is a ruminator of dance, among other things, and attempts to commit a substantial amount of time to teaching, creating, and facilitating some kind of dance experience for herself and those who care to join. She received her MFA in Dance at Temple University, and her choreography and workshops, which are rooted in contemporary movement concepts and improvisation, have been commissioned by several college, high school and studio dance programs, and professional companies including Spelman College, Grand Valley State University, Baton Rouge Ballet Theatre, and Todd Rosenlieb Dance. Mina has served as faculty for the dance programs at Temple University, Old Dominion University, Christopher Newport University, and Drexel University. She is often producing concerts in collaboration with other artists, and contributing dance works in festivals around the country. While in Philadelphia, she performed in the Live Arts Festival and Collage Festival, received the New Edge Residency at the CEC, worked with notable artists IdiosynCrazy Productions, Silvana Cardell, Shavon Norris, and Leah Stein Dance Company. Mina currently resides in Louisiana, where she is the Director of Artist Resources at the Arts Council of Greater Baton Rouge. She has also served as dance faculty at Louisiana State University, and conjured fantastical dance dreams with CoCo Loupe and their group CKA: currently known as. She is always in hot pursuit of great storytellers, generous muses, equilibrium, and more time to pet her cats, smile at her husband, and hang out with Mother Nature. In a 4-week session, we will focus on listening, studying body language, and understanding and embodying the point-of-view of someone unlike ourselves through written and improvised exercises. We’ll learn how to initiate 2 person scenes and collaborate with our improv partners. The class will culminate in a recital for friends and family! Improv 101 – A brief explanation of improv. “Up and Down” Warm Up Exercise - Using word association to practice listening and retaining detail. Character Study - Participants will be asked to create a description of a made-up character, including an occupation, a list of likes and dislikes, and a general mood of that person. 2-Person Scenes – We will run a set of 2-person scenes using the characters created above to flex our listening & reaction muscles. 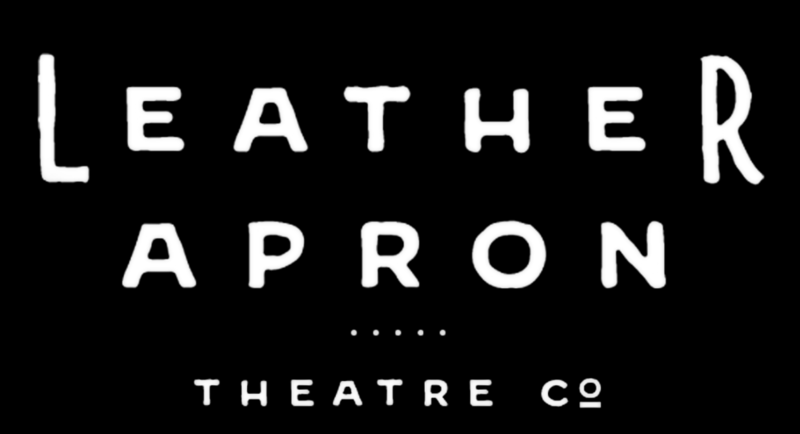 The founder of Leather Apron Theatre Co., T.C. has performed and taught improv nationwide for over 6 years. He trained in Chicago at The Second City, iO, and Annoyance theaters. After moving back to Baton Rouge in 2015, he felt like something was missing from the performance community and started a small improv group in the back room of Whole Foods. In October 2016, LATCo began putting on monthly performances, featuring guest monologists, local stand-up comics, and performance artists. Since then, LATCo has created a loyal following, drawing business to the local bars where they perform and exposing new people to improv. The creative director of LATCo, Betty has trained at Station Theater in Houston, TX, iO in Chicago, and The New Movement in New Orleans. After moving back to Baton Rouge in June 2016, she was looking for a creative outlet and was connected with T.C. After joining LATCo, she saw the growth potential of the group and their audience’s interest in wanting to perform. As someone who had to leave Baton Rouge to discover improv, she feels passionate about creating a space in our community for people to learn this art form without having to move. This course introduces students to the methods, materials, history, and theories involved in printmaking. We will be discussing the 4 basic types of printmaking processes: Lithography, Serigraphy, Intaglio, and Relief. We will be making prints using the relief and serigraph methods. This course focuses on the forms of print that can be done in the home, without the use of printmaking machinery or facilities. Students will create 2 to 3 compositions using serigraphy and relief printing and engage in a group critique to gain insight on how their work is being understood by others.